Wouldn’t it be great to get comments on Instagram after you post a photo or video? Comments are the easiest way to interact with the audience. Why Instagram comments are important? You might be thinking should i buy Instagram comments or not? Let us explain this in a few lines, most of the people do not like the idea of being the first ones to comment on posts and videos not unless it is a close friend or family member. So already having some comments make people write something on your post that’s what you always want. 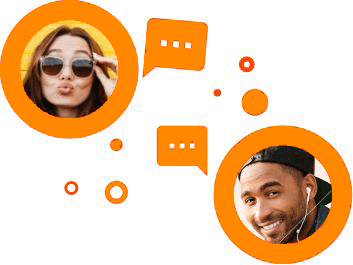 Comments are a new way to interact with people. Instagram is introducing a new feature in their comment system which is called thread, it’s very similar to Facebook’s comment system. If you are an influencer than you need to have many comments on your every post to show off to the client & customer, that’s where the term ‘engagement’ comes in. It is measured by the number of comments/likes on a photo.Having a huge number of Comments is as much important as likes. How to get comments on Instagram Posts? There are many organic ways to get comments for Instagram posts. Post photos of dogs, cats etc. We at instapple are working 24/7 to provide high-quality services that will fulfill your Instagram profile needs.To make an Instagram profile look more credible and popular, you need a huge number of likes and comments on every photo. Every potential client measures the engagement of influencer’s profile by the number of likes/comments on his/her posts. 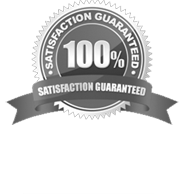 Unlike other websites instapple focuses on quality, speed and customer satisfaction. When you purchase any service from us we make sure to make it your best experience. Buy Instagram comments from instapple and you will be happy for sure.Ninety-nine percent of our customers are happy and returning customers. Click here for Instagram Views! On the checkout page, there is a description box where you can write custom comments. You can then inform us whether you want these comments from the Male or Female profile. If no condition implies then we will deliver from our random accounts. Once you’ve chosen a package, you will be moved to the Checkout page where you select maximum of 5 posts to get comments on. We deliver a minimum of 5 comments per post. Choosing a package does not take much time either you are buying custom instagram comments or random comments. We offer both services at a very reasonable price. We have made the checkout process very simple. Once you have reviewed all the order details you will be asked to choose a payment method. You can then select any available gateways e.g. Paypal, Bitcoin and Direct Credit Card Payment.